It's considerably more orange if not full orange compared to the TFA. 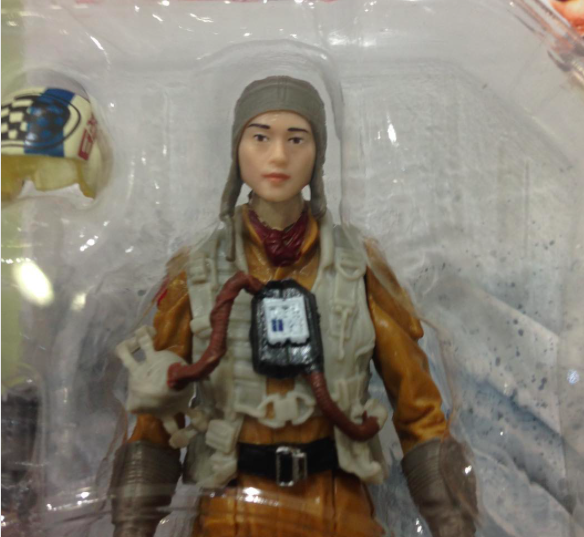 The TLJ X-Wing pilot, style of suit seems the same but colors are different. It looks to be much more orange than the X-Wing suit. Vest looks like the TFA version of the X-Wing vest without the life preserver with a collar added. 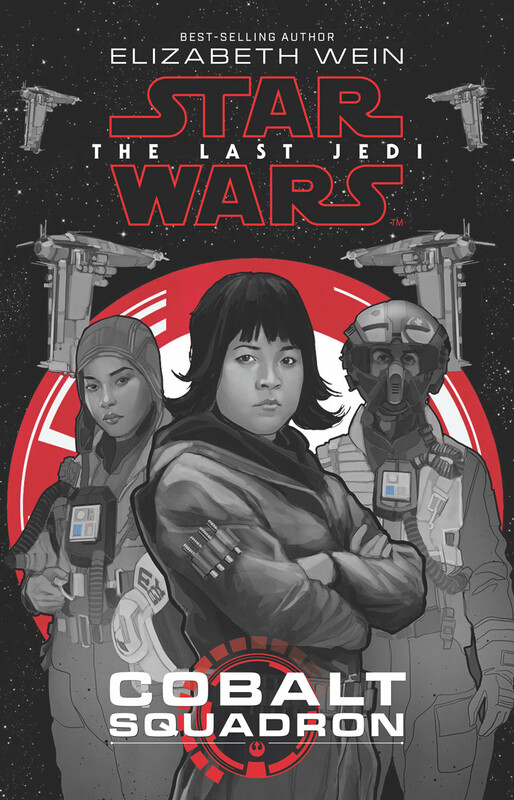 Cobalt squadron book cover has good shots of chest boxes and vest and helmet! There's also the yellow pilot suit. I wonder what that one is for? Where did you see the yellow one? Are you certain it's not a trick of the lighting? From what I have seen with the video and the figure this is a completely new costume. 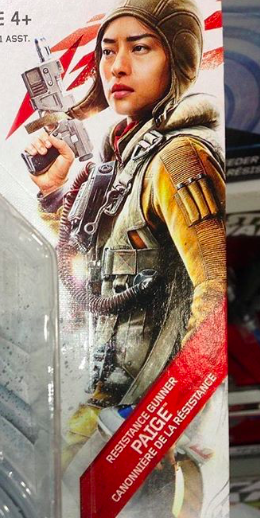 The gunner vest, gloves and neck "scarf" closely resemble the last jedi a-wing pilot as far as the toy is concerned. The flight suits appear to be different. 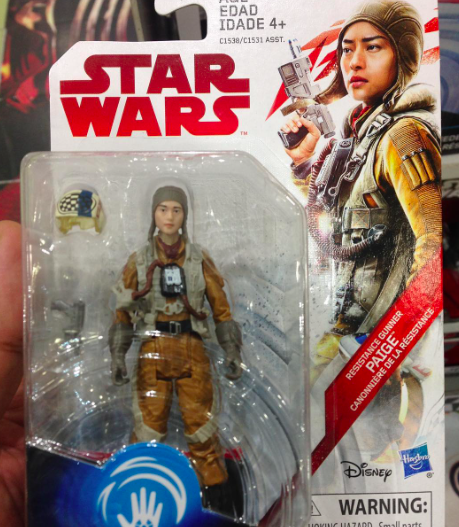 I agree as far as the helmet and suit color but both uniforms do have scarves, brown gloves and the chest box's of both the gunner and a-wing pilot appear to be similiar to the x-wing box. IDK, really cant pass judgement until the movie and the reference books. Until then we can only speculate. Just a heads up, we cannot use action figure pictures as costume reference.